I’m a natural born planner. If I had to describe myself in one word the first word that always comes to mind is organized. I make lists. I plan ahead. I’m always a few minutes early when I have to be somewhere. My mind is always running a mile a minute and I’m constantly thinking of new things to organize/do/create/see/explore. I have lots of hobbies and projects and I always have my hand in many things. Basically I’m about as Type A as they come which means that I am also a very busy person. I have used a paper planner/calendar every year since fourth grade to keep my life on track. Things are obviously much more complex these days since I’m the keeper of our entire family’s schedule, but I still use a paper planner/calendar every single year to keep track of everything. 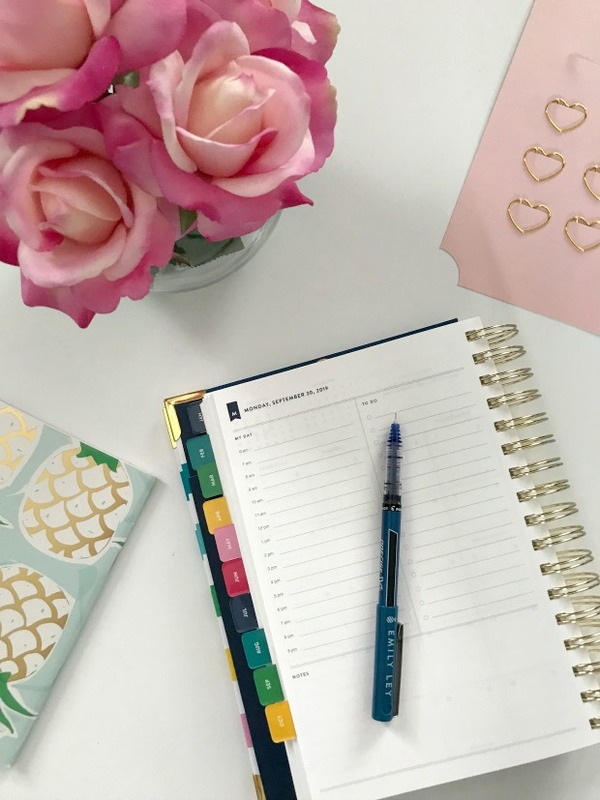 Because our lives and schedules are so complex now I need something that really and truly works for me, and for some reason I have never been able to find a planner that does. I used to buy generic planners at Target every year but found those to be lacking, so in 2014 I decided to spring for something more substantial. I used an Erin Condren Life Planner for four years and then switched to a Plum Paper Planner for this year, but just like with the generic planners, I just couldn’t make it work for me 100%. Something has always been missing. 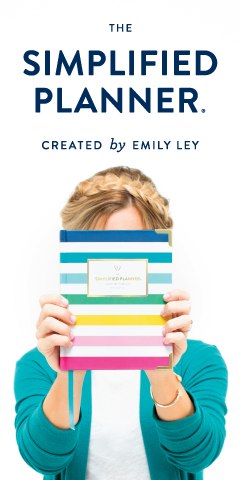 For 2019 I have decided to make the switch to the Emily Ley Simplified Planner and I already know that this is going to be the one that finally gives me exactly what I need. Here are the reasons why! The primary feature that made me make the switch was that the Emily Ley Simplified Planners offer a daily edition. 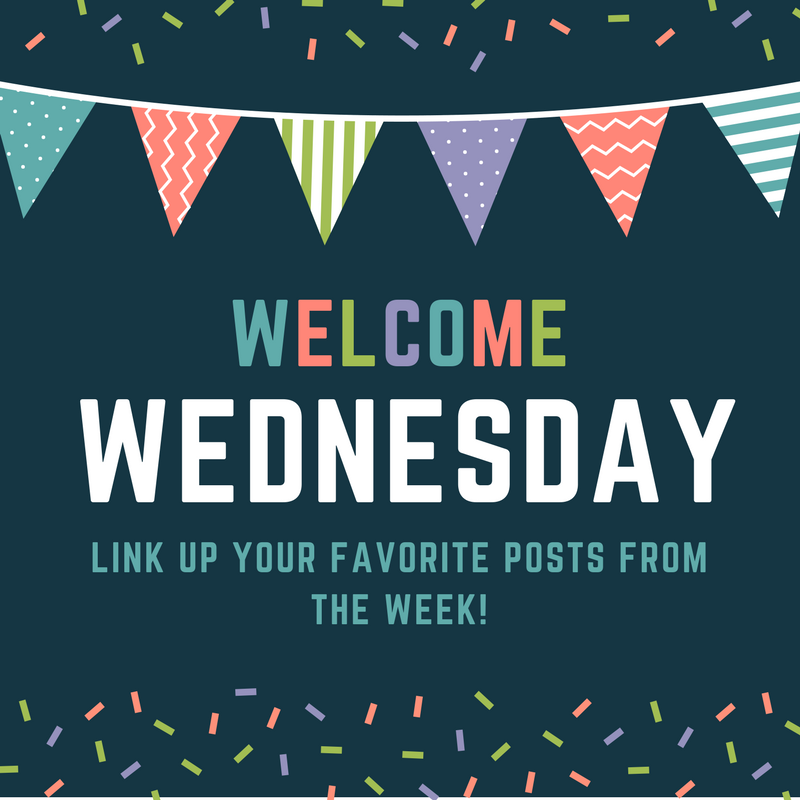 This means that instead of the usual weekly spread with seven days crammed into a single two-page spread, each day has its own page. IT’S OWN PAGE!!!! 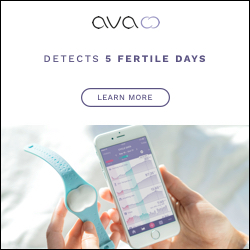 Y’all, this is a complete game-changer! I don’t know about you, but we are so incredibly busy in this stage of life that having a tiny column for an entire day’s worth of activities just isn’t enough. This year I’ve had to use a notepad in conjunction with my planner just to keep track of my daily to-do lists because there just isn’t enough room in my current Plum Paper Planner. Having to use the notepad is just silly and it drives me bonkers that I can’t just fit the to-do list in my planner along with all of my other stuff. A column down the left-hand side with blank lines for each hour from 6 AM to 9 PM. This will be where I write down appointments, meetings, after-school activities, and any other events that require us to be there at a certain time. A column down the right-hand side with 16 blank lines for my to-do list so I will no longer have to use a notepad. A large blank space across the bottom which allows you to use the space however you like. LOVE! I’ll be using that space for meal planning and recording my exercise for each day (something that I have always written down in every planner). There’s plenty of room for me to write down every single thing that I could ever possibly need to write, even on the busiest of days! And for those of you who are not as busy and don’t require as much space, she does offer weekly edition planners, too! 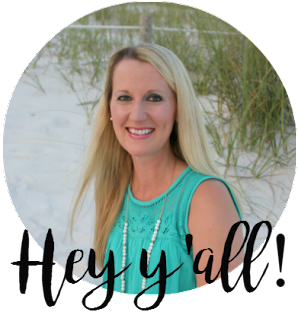 Emily Ley, the creator of the SP, is a mom of three littles and a regular person just like you and me. 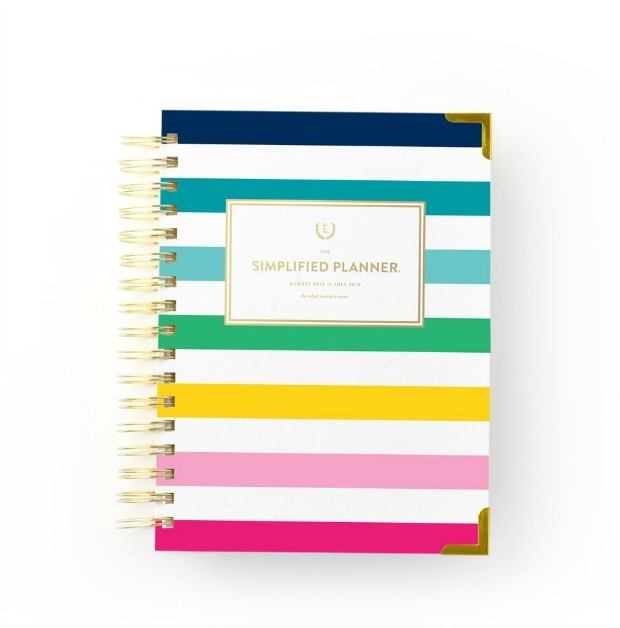 She designed these planners minimally on purpose because she knows that life is hectic and that we should all try to keep things as simple as possible to leave more time in life for the good stuff. As someone who has been on a mission to simplify my entire life this year, this completely speaks to my soul, so this is definitely my second favorite thing about the planner. 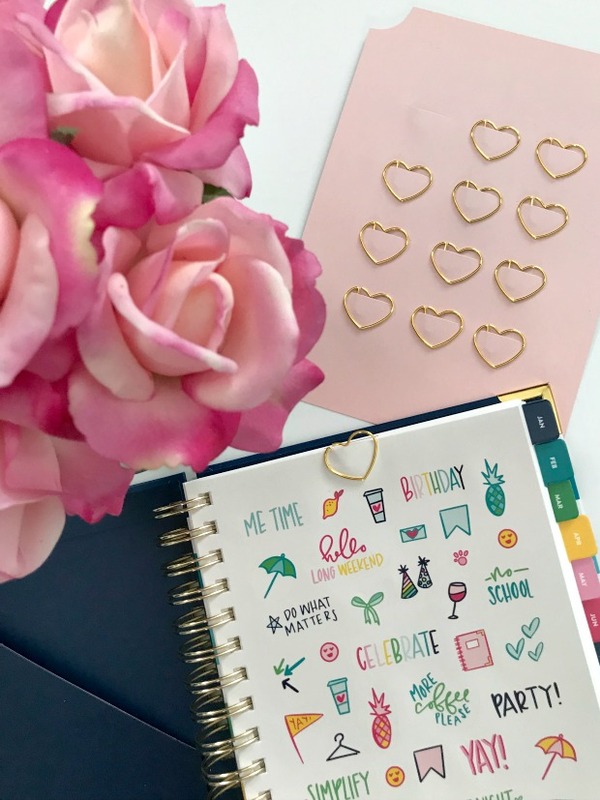 With previous planners, (especially the Erin Condren Life Planner) there were SO MANY PAGES that I never used – pages of inspirational quotes, pages of cutesy little designs, pages for subsequent calendar years, and pages and pages of stickers that I never used. I’m in no way knocking the other planner brands because I’m sure there are plenty of people who appreciate these things, but for me personally, those pages were just extra bulk that I didn’t need. 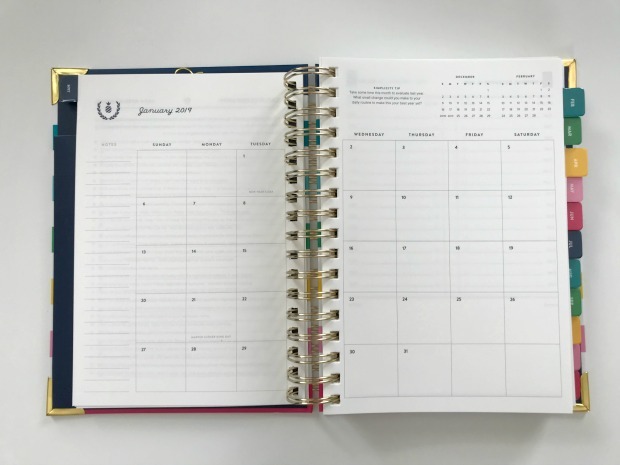 Another great thing about the Simplified Planner that the others lack, is that you can fold it over and not worry about messing up the coil. With previous planners, they packed so many pages into the small coil that I couldn’t fold the planner in half because the coil would get all wonky. This meant that every time I had to write on the left page of each spread, the coil in the middle would get in the way of my writing which made my hand-writing awful. I’m a perfectionist so bad handwriting is just not something that I’m okay with. Haha. As stated before, there are seven pages at the front of the planner which include a letter from Emily (and y’all, I just love her! Follow her on Instagram if you don’t already… she is so inspiring. 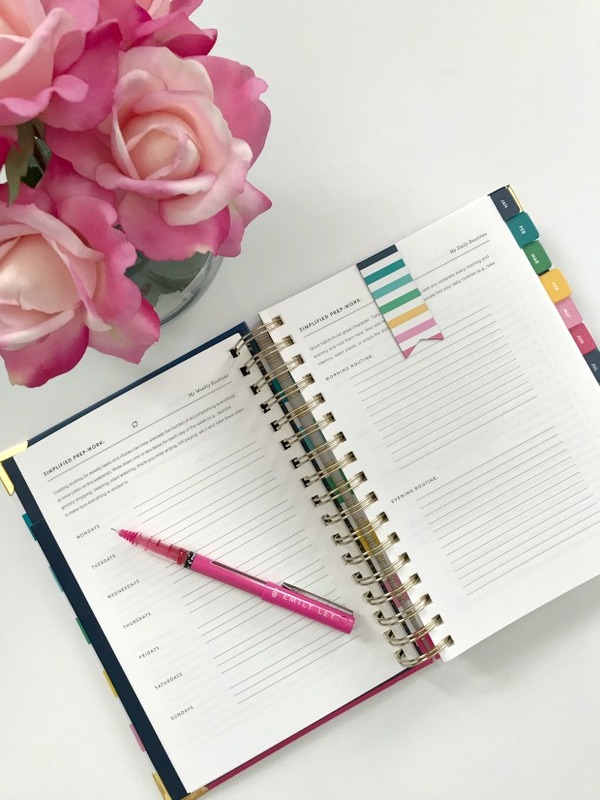 ), simplifying tips, how to use your Simplified Planner, 2019 holidays, and some blank pages where you can fill in your daily routines, your morning and evening routines, and your goals for the upcoming year. I personally find these pages extremely useful and have already started filling them out for 2019. Being organized from the beginning sets a positive tone for the whole year. It truly does! Finally, there are many, many gorgeous, high-quality accessory options to complement your planner and allow it to work to its maximum potential. Paper Clips – These are perfect for attaching important documents to your planner that you need for any particular day. And these are definitely not your basic paper clips. These are all gold and you can get sets of arrows, stars, flags, pineapples, coffee cups, or hearts. So many beautiful options. Pens – There are several options for pens, my favorite being her collaboration pens with Pilot. The Pilot Precise V7 pens have been my favorite since high school, and Emily just so happened to design a multi-colored pack of the Pilot Precise V5 pens which make a slightly thinner line than the V7s. I bought these this year and I cannot tell you how much I love them. They are perfect for color-coding. I’ll be assigning a different color to each member of the family and filling out my monthly calendars accordingly. EEK! Color coding! Stickers – There are several different sets to choose from including some cute little doodles, flags, color coders, icons, and labels. I personally love the doodles because they add a little flair to an otherwise plain page. Stretchy Bands – These are perfect for holding your planner and all of the contents inside closed. They come in several different color options and Emily’s are by far the best I’ve seen because they are made of high-quality silicone so they won’t slip!! Washi Tape – Who doesn’t love washi? It’s also perfect for color-coding. Mini Notebooks – These are plain, lined notebooks that slide perfectly into the front pocket of the planner. They are offered in many different adorable patterns like gold pineapples, gold dots, gold floral, watercolor floral, stripes, pineapples, navy dots, and many others. This little notebook is perfect to use for my blog. I’ve always kept a separate space for it, but now I can have it right there in my planner! Page Markers – This is by far my favorite of all of her accessories! These are super thin magnets that clip to the page to hold your spot. They are seriously genius!! 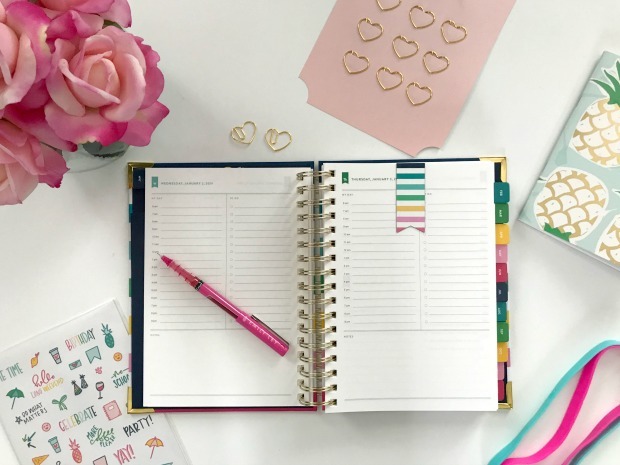 Since there is so much to choose from, they do offer planner bundles, and I opted to purchase one of those because it saves money in the long-run if you’re planning to buy some of the accessories. The bundle comes with your choice of planner (daily or weekly edition) plus one each of the pens, stickers, paper clips, mini notebook, page marker (my favorite thing ever!! ), and set of stretchy bands. In addition to all of these things, she also offers many other non-planner items for your home, kitchen, and office, and I pretty much want it all. Haha. 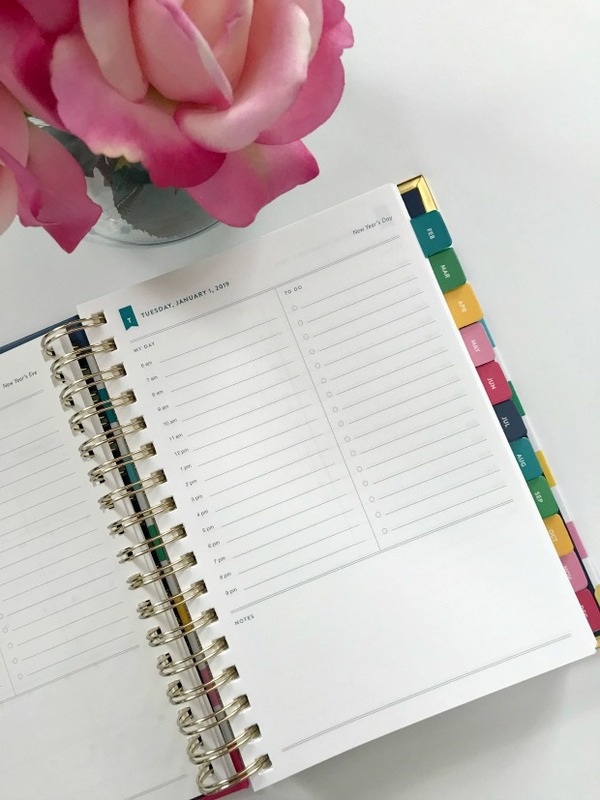 The Simplified Team only releases planners twice a year – once in September for the January – December planners (these are the ones that are on sale now!) and once in May for the August – July planners, so if you’re thinking of getting one for 2019, YOU BETTER BUY IT NOW! They are already sold out of several of the designs for 2019! If you get one I hope you end up loving yours as much as I love mine! I’m so, so excited about the year ahead because I can’t wait to use this baby!!!! I wanted to like the SP but I just couldn’t make it work for me! But it really is a beautiful planner. She does have great tips! I always love getting a peek inside new planners! I've used one since 6th grade and in college, I felt like the only person who would pull out their planner to check on something haha!! I'm glad you found something that worked for you! I am going to have to take a look at this. I haven't found my perfect planner yet. I feel the same way about EC, they are great, and sturdy, but there are so many pages that I don't use, and I carry it my purse at all times...so it gets heavy! Off to take a look! I have so many heart eyes for this planner!! LOVE IT!! ahhh I love this so much! I MUST check these out! I am trying to become more and more digital, but I still love the look and feel of planners, writing things down, etc. Thanks for sharing on To Grandma's House We Go! I used to love my planner, but I still never use it. I have one at work and never use it either, but maybe a pretty one would help! Ahhh that planner is SO PRETTY!!! I need to add this one to my "want" list because I haven't found a planner I love yet. This looks so pretty!! Is it sad that every year I change to a different planner thinking I will finally find THE ONE! Maybe I'm the problem lol. Ohhh, I think we are organization/planning soul sisters! And yet, I've never tried The Simplified Planner. I think I'll have to change that for 2019! I have always wanted to order one but I love weekly calendars that are spiral but NOW her line at Office Depot has that option so I plan to order one in October :) I can't wait! Oooooh man! You're selling this to me!!! I'm a paper and list girl, too!